This is a website in development that provides mini-biographies of Primitive Methodist female itinerants and certain other important PM women preachers. Ann’s parents were George Brownsword (1767-1853)and Elizabeth Timmis (1769-1845). It is very likely that they had a daughter Elizabeth, as it was the custom to name children after parents and grand parents. Ann certainly had a brother George (born 1807-11). George and Elizabeth married on 29 Dec 1794, at Wybunbury parish church. This parish included Gorsty Hill and Englesea Brook, which were in the township (later parish) of Weston. Their last child was Harriet (born 1817), so they could have had up to 12 children, and maybe more. There is evidence of at least 6: Ann, Thomas, Sarah, George, William and Harriet, but I am sure there were more. In 1841 George and Elizabeth were living at Knutton Heath, Keele (not far from Gorsty Hill), where George was a labourer, but owned his own house, garden and land (which gave him the right to vote). Harriet gives her birthplace as Gorsty Hill, so they were still living there in 1817. George was the licensee of the Broughton Arms from 1819-1823. Before that the licensee was Thomas Timmis (1782-1818), probably his father in law. There were other Brownsword families living nearby (at Hough and Betley), but no others in the township of Weston. Did Elizabeth call any of her children George? That would be more evidence of a link. And who was the Henry Brownsword who was a witness at her wedding? He is another important clue! I am very interested in this family as both Ann and Thomas became Primitive Methodist travelling preachers, and were part of the first Primitive Methodist Sunday School at the home of Sarah Smith, a farm labourer’s wife, in Englesea Brook. I would love to know if you find any more pieces of the jigsaw! Do you know whether the Ann BROWNSWORD of Gorsty Hill had a sister, Elizabeth. My 2xgreat grandmother was Elizabeth BROWNSWORD who on every census states born in Weston, Cheshire. I know George BROWNSWORD was an innkeeper at the Broughton Arms here in 1819. The only Elizabeth I can find was born in Etruria in 1802 and christened at Stoke Minster. I thought that she may have been a cousin who came to work for the Weston family. 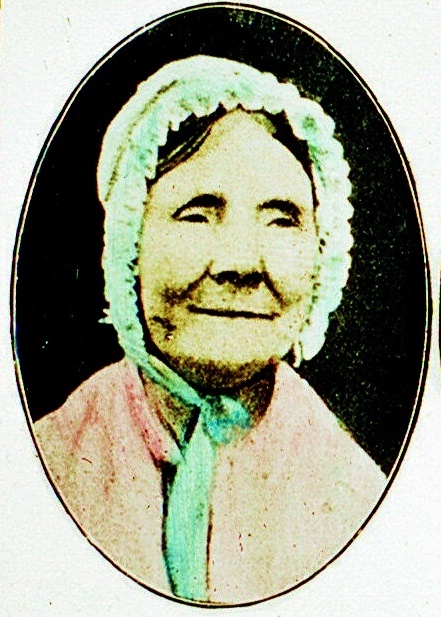 She married James BRADSHAW in Barthomley in 1824.